This is a replacement Traxxas 1/16 Steel Center Drive Shaft Set, and is intended for use with the Traxxas 1/16 scale family of 4WD vehicles. 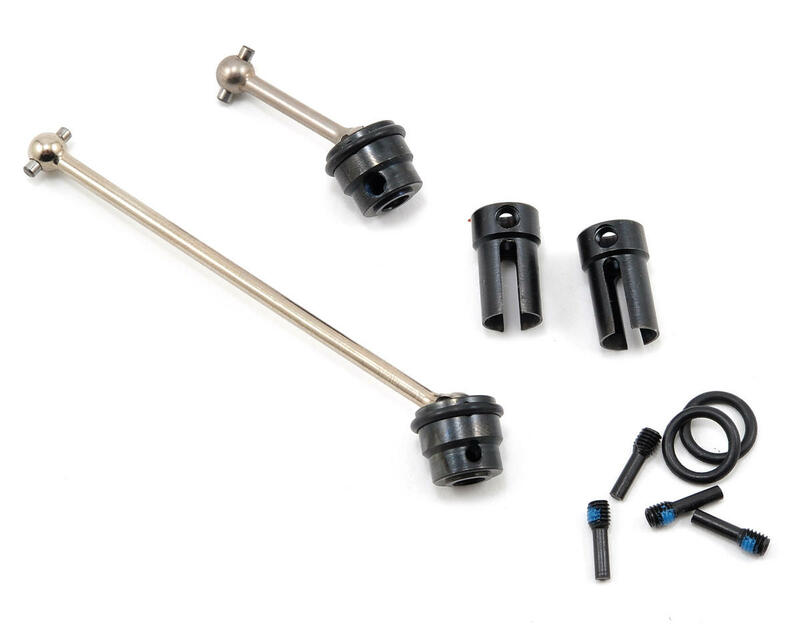 These steel Constant Velocity Center Driveshafts are designed to handle the extreme horsepower and torque that Traxxas 1/16 VXL models dish out. Solid-steel construction and heavy-duty drive cups offer maximum precision and efficiency with run-after-run durability. O-rings retain the cross pins so you never have to worry about losing a pin, while still allowing easy maintenance. 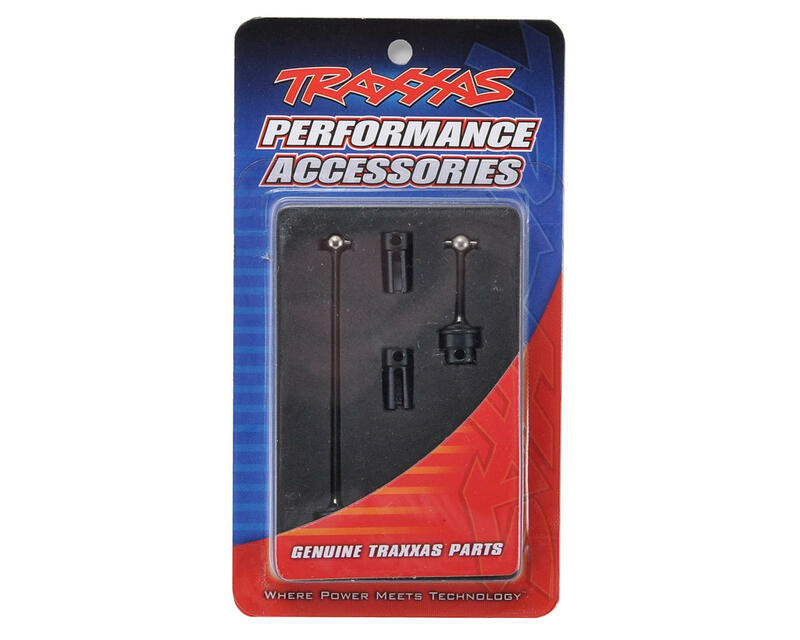 Kit includes complete ready to install front and rear driveshafts, and instructions are included for easy installation in any Traxxas 4WD 1/16-scale model.